At Dream Dental, we like to place most of our focus on providing thorough preventive care, because as we all know, stopping a problem before it begins is much easier than having to fix it later. That’s especially true when it comes to dentistry! With thorough checkups, cleanings, and more, we’ll be able to completely protect your family from tooth decay, cavities, and gum disease year after year. All it takes is just one easy appointment every six months to effectively safeguard your family’s smiles, so be sure to contact us today to schedule your next one! These services give our team the ability to learn all we can about your dental health as well as the best ways to protect it. Everything will start with a checkup (or oral exam), in which Dr. Patel and your hygienist will look at your teeth, gums, jaw, and existing dental work to catch any problems you might have. By coming to see us regularly, we’ll be able to address any issues while they are still small and easy to treat. 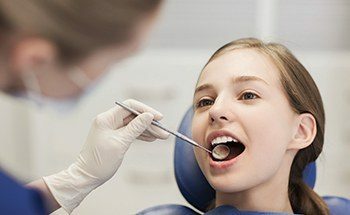 Then, your hygienist will give you a refreshing cleaning, removing any plaque and tartar on your teeth, specifically targeting those areas in your mouth that your tools at home can’t reach. Periodontal disease, or gum disease, is by far the most common dental problem in the entire world, and it is estimated that about 80% of the American population has some form of it right now! Fortunately for the people of Woodstock, Dream Dental can make sure this global problem is never an issue for their smile by providing comprehensive periodontal therapy. 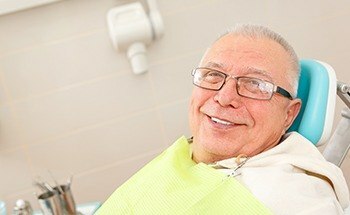 Using a combination of a deep cleaning that’s focused on the gums and antibiotics, we can stop this infection before it ever has a chance to harm the smile. Dental sealants allow us to give the most vulnerable teeth just a little bit of extra protection. The back teeth are the most likely to develop cavities because their uneven surfaces trap food particles and make them extremely difficult to clean while brushing (particularly for children), but this can all be mitigated by a dental sealant. For this, we’ll apply a clear, thin layer of a plastic-based substance directly to the teeth to create an invisible barrier that cavity-causing plaque, food particles, and bacteria cannot cross. Nothing takes you out of the game faster than a dental injury! Fortunately, you can keep your pearly whites in one piece no matter your sport of choice as long as you remember to wear a protective mouthguard. Rather than using some generic, uncomfortable mouthguard you bought from the store, Dr. Patel can provide you with your own custom-made one. It will be specially designed to fit over your particular teeth, plus it will be much thicker and stronger to better defend your smile. Bruxism is a very common condition where a person unconsciously clenches their jaw and grinds their teeth while they sleep. Over time, this can wear down the enamel, make the teeth more sensitive, and even cause them to break! 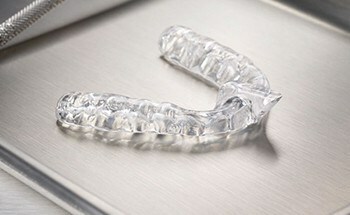 To help patients with this sneaky problem rest easy, we can provide them with what is called a nightguard. This small, custom-made mouthpiece is only worn to bed, and it fits over the teeth to place a protective barrier between them to prevent any grinding. Every hour of every day here in America, oral cancer claims at least one life, which is especially tragic because it is actually very treatable when detected early. 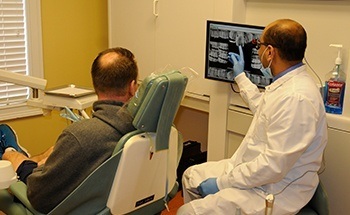 This is why Dr. Patel recommends that all adults should have at least one oral cancer screening per year, which he can perform himself as part of your regular appointments. 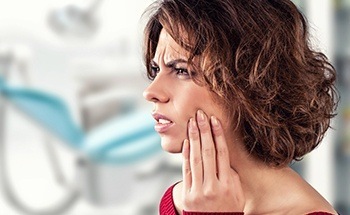 He’ll examine your lips, gums, cheeks, tongue, throat, neck, and face for any signs of cancerous tissues, and if he finds anything, he can help you quickly get follow-up treatment. You’ll find fluoride in many toothpastes and public water sources because it provides a safe and natural way to fight tooth decay and cavities, so you’ll of course find it in our office as well! Many people aren’t getting enough of this helpful mineral in their diet to keep their teeth fully protected, which is why we’re happy to provide every member of your family with a topical fluoride treatment as part of your routine checkups. 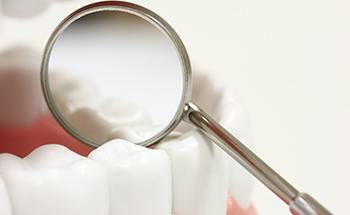 It’s one of the easiest and quickest ways we can keep everyone cavity-free all year. Accidents happen to everyone, and sometimes, it’s the teeth that pay the price. If you or a loved one find yourselves in need of immediate dental care, you can always call Dream Dental. Whether it’s a knocked out tooth, severe toothache, or broken dental work, you can trust our team to take care of it. We’ll try to see you as soon as possible after you call—preferably the same day! Taking care of Woodstock’s littlest smiles is one of our favorite things to do here at Dream Dental. When you bring your child to see us, we’ll provide them with cavity protection, monitor their oral development, and also educate them on the basics of dental care to make your job at home a little easier!